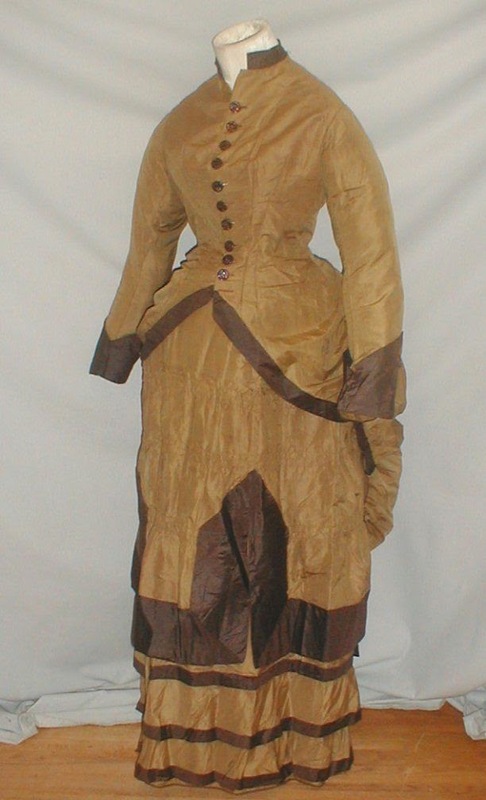 A stunning 1880’s tan silk bustle dress. 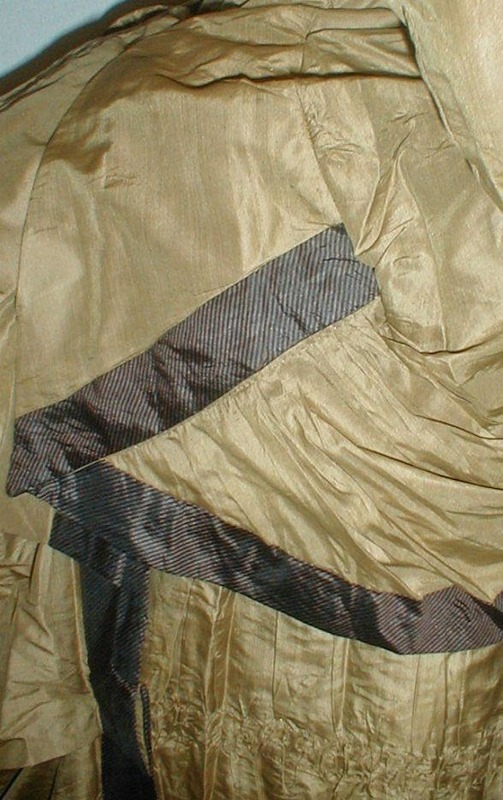 The bodice and skirt are trimmed with black and tan pin stripe silk. There is no discoloration on the trim just shadows created by the camera flash. The close up photo shows the trim best. The bodice has a center back peplum with long tails. The sides of the bodice are draped. The bodice is lined with cotton and has a front button closure. 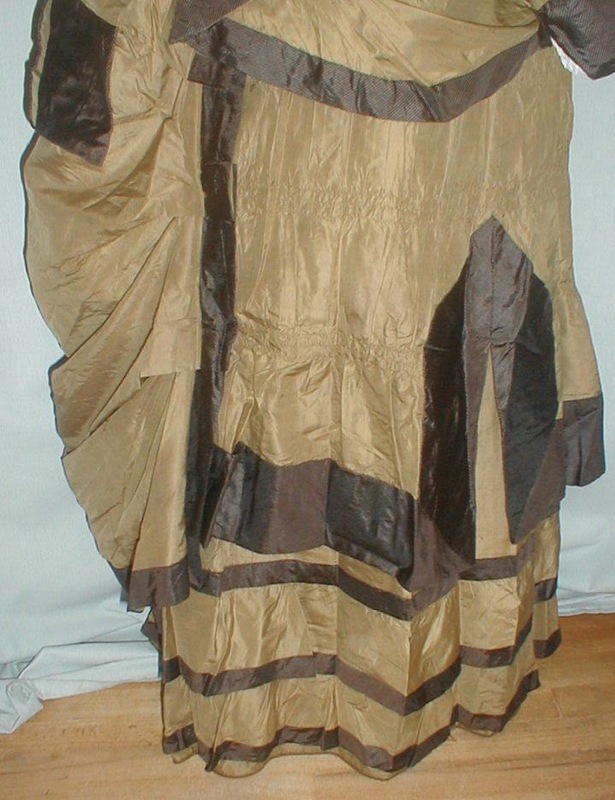 The skirt has a draped over panel and the front is designed with rows of ruching. 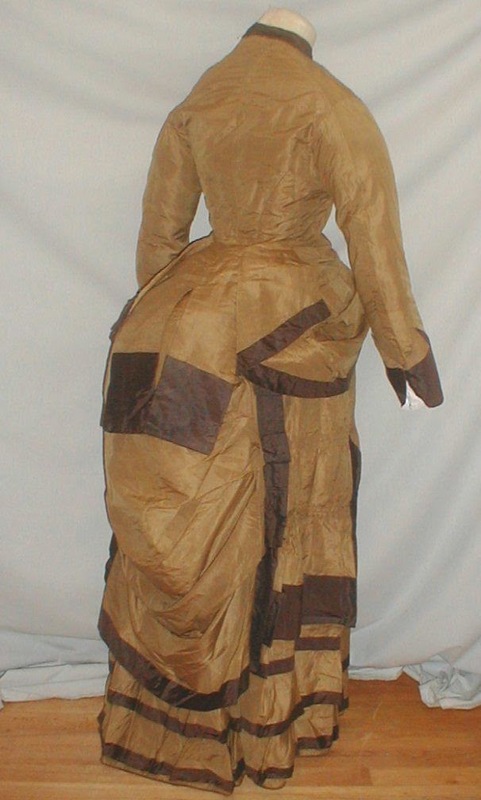 The back of the skirt has a draped bustle panel. The skirt is lined with cotton. The dress is in very good and sturdy condition. There are no splits or holes in the fabric. There is light underarm discoloration mostly to the inside lining. There are a few small age marks on the top of one sleeve and some minor stress wear near the buttonholes. Bust 34 Waist 35 Skirt length 39. 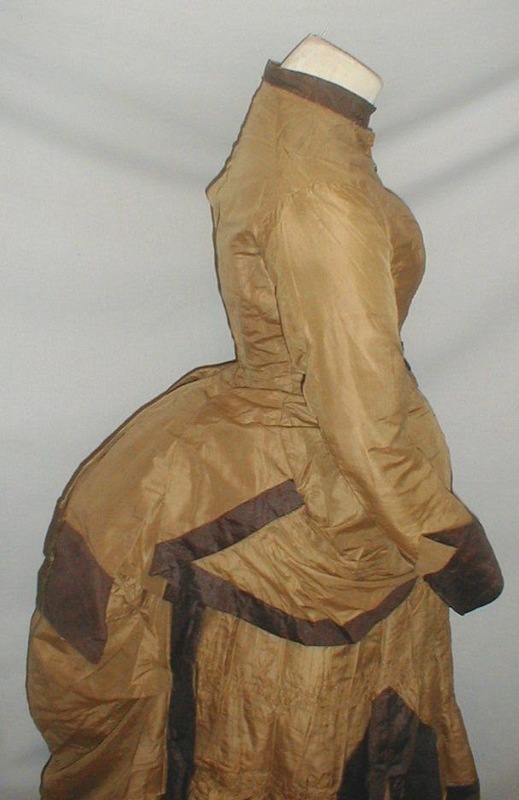 I believe this is from the first bustle due to the basque bodice and those exaggerated tails.